Team Fortress 2 is a team-based first-person shooter multiplayer video game developed by Valve Corporation. A sequel to Valve's previous Team Fortress Classic, it was first released as part of the video game compilation The Orange Box on October 10, 2007 for Windows and the Xbox 360. A PlayStation 3 version then followed on November 22, 2007. The game was later released as a standalone package for Windows on April 9, 2008. 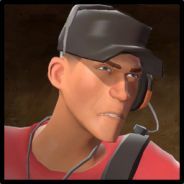 Team Fortress 2 is distributed online through the Steam system, whileretaildistribution was handled by Electronic Arts. 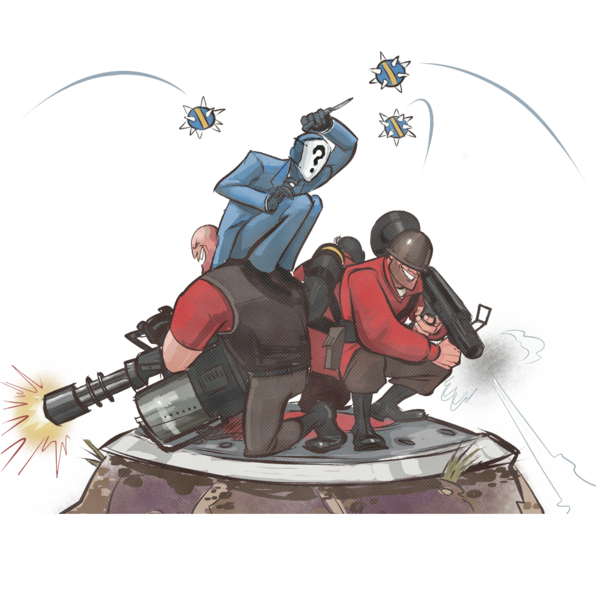 The development of Team Fortress 2 is led by John Cook and Robin Walker, the designers who originally created the Team Fortress modification for Quake in 1996. Click on the pictures to meet them! The Scout - Born and raised in Boston, Massachusetts, the Scout is a fast running scrapper with a baseball bat and a mean attitude. He is the fastest mercenary on the battlefield, and his double jump leaves slower opponents struggling to keep up and is great for dodging enemy fire . Carrying a Scattergun and a Pistol, the Scout is ideal for aggressive fighting and flanking, allowing him to inflict massive close-range damage before dashing away to safety. The Scout is an excellent choice for completing objectives quickly. He captures control points and pushes carts at the rate of 2 players. The Soldier - The Soldier is a crazed patriot from America's heartland. Tough and well-armed, he's versatile, capable on both offense and defense, and a great starter class to get familiar with the game. 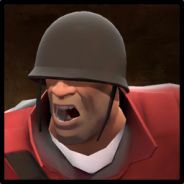 The Soldier is well known for his spectacular rocket jump. 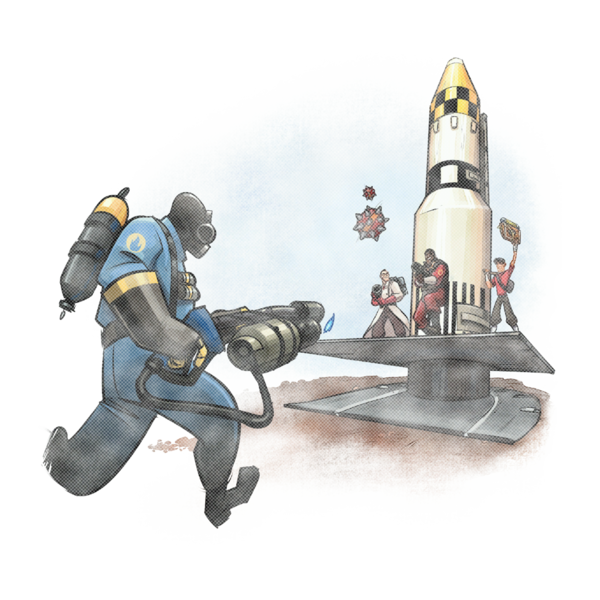 In defiance of all good sense and judgment, the Soldier can detonate a rocket at his feet and launch himself skyward at the cost of some health. 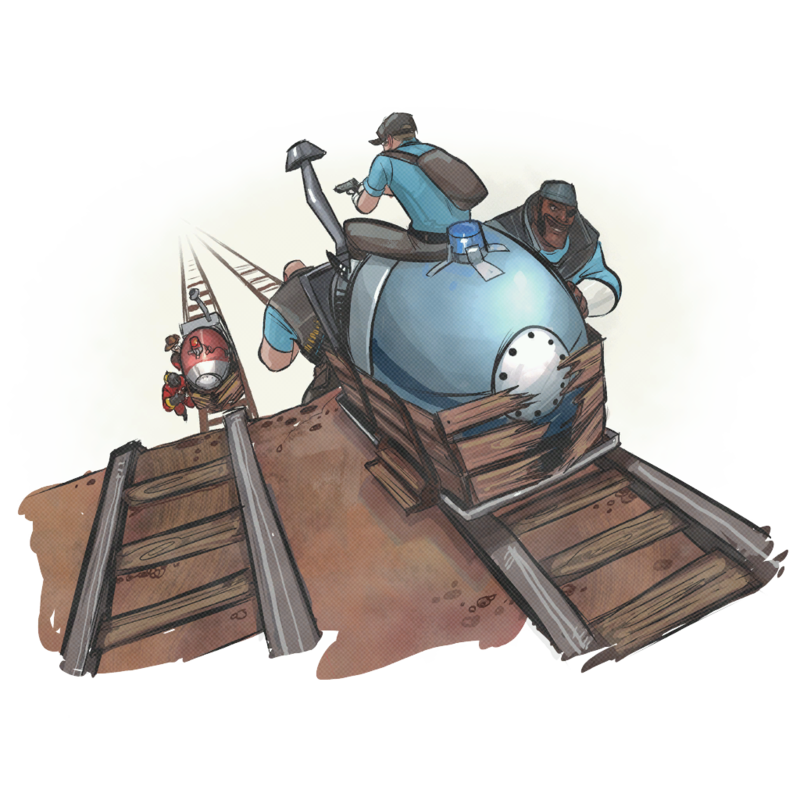 This ability allows the Soldier to pop up in unexpected places and reach areas off-limits even to the Scout's double jump. The Pyro - The Pyro is a mumbling pyromaniac of indeterminate origin who has a fervent fondness for all things fire related. As shown in Meet The Pyro, the Pyro appears to be insane and delusional, living in a fantasy world known as Pyroland. The Pyro specializes in fighting enemies at close range using a homemade Flame Thrower. 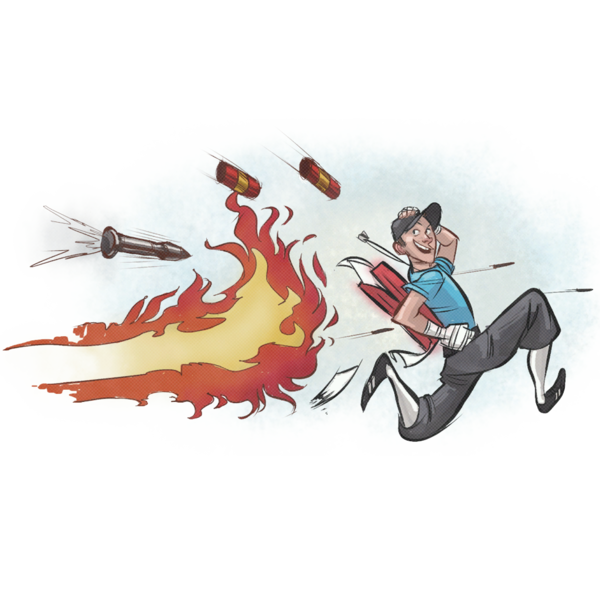 Enemies set on fire suffer from afterburn and take additional damage over time, allowing the Pyro to excel at hit-and-run tactics. 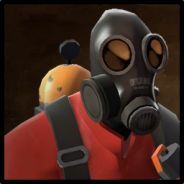 Due to the Flamethrower’s short range, the Pyro is weaker at longer ranges and relies heavily on ambushing, taking alternate routes to catch opponents off-guard. 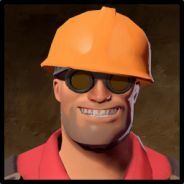 The Demoman - The Demoman is a scrumpy-swilling demolitions expert from the Scottish Highlands, and is one of the more versatile members of the team. Though his weapons lack pinpoint accuracy, the Demoman is a powerful, if unpredictable, asset, and can hold his own in just about any situation. He is a master of explosives, excelling at indirect and mid-range combat. Armed with his Grenade Launcher and Stickybomb Launcher, the Demoman uses his only good eye and the knowledge of his surrounding environment for well-timed detonations that send enemies skyward, often in many pieces. 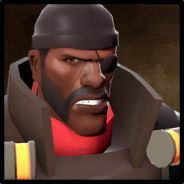 Should anyone get past his explosive ordinance however, they will be shocked to learn the Demoman is extremely proficient at melee combat, being one of the deadliest melee classes in the game as he has a variety of powerful melee unlocks in his arsenal. 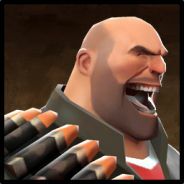 The Heavy - The Heavy is a towering hulk of a man that hails from the USSR. 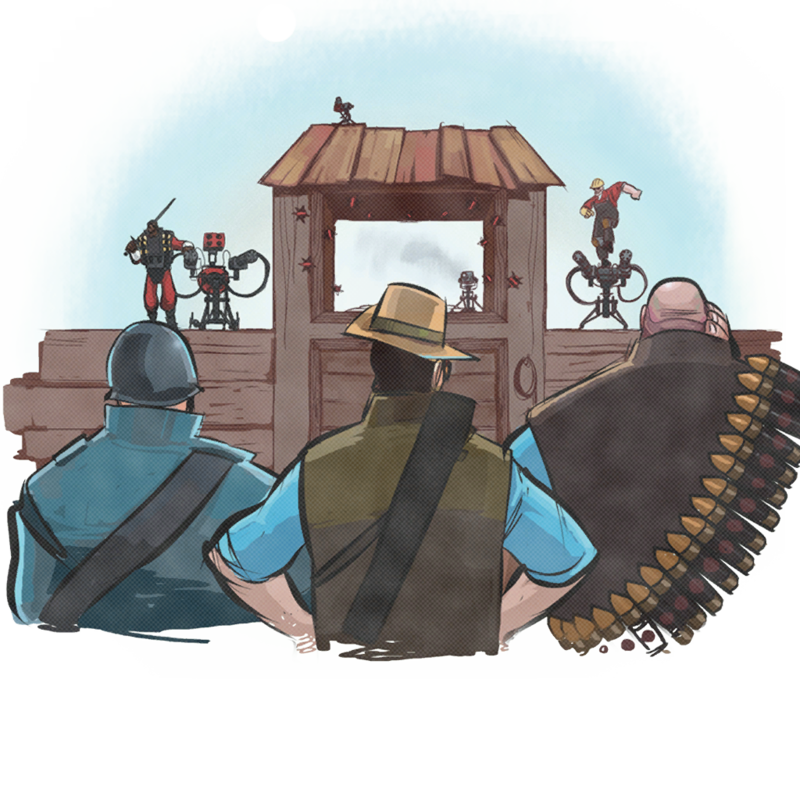 The Heavy is the largest and possibly most dangerous class in Team Fortress 2. Boasting the most default health and devastating firepower from his trusty Minigun, the Heavy is no pushover. The Heavy's Minigun can inflict heavy damage at a high rate of fire, allowing him to mow down most enemies in seconds. The Heavy's movement speed is his main weakness. Revving up or firing his Minigun brings his already unimpressive speed down to a snail's pace, making him a very easy target for Snipers and Spies. His slow speed makes him more dependent on support from Medics and Engineers to keep him in the fight. 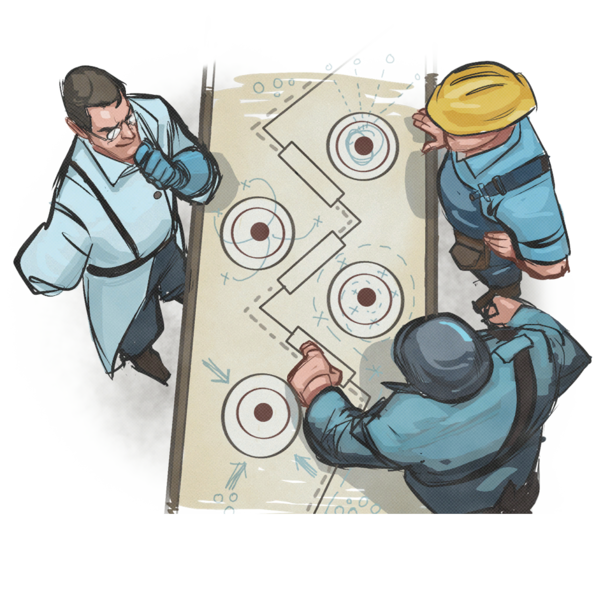 The Engineer - The Engineer is a soft-spoken, amiable Texan with an interest in all things mechanical. He specializes in constructing and maintaining Buildings that provide support to his team, rather than fighting at the front lines. The Engineer's various gadgets include the Sentry Gun, an automated turret that fires at any enemy in range, the Dispenser, a device that restores the health and ammo of nearby teammates, and Teleporters that quickly transport players from point A to point B.Because the Engineer's ingenious devices are under constant threat from explosives and devious enemy Spies, a good Engineer must keep his gear under a watchful eye and in repair with his Wrench at all times. When the Engineer needs to get his hands dirty, his trio of generic yet capable weapons, along with the assistance of his helpful hardware, make him more than capable of holding his own in a fight. If need be, the Engineer can even pick up and haul constructed buildings to redeploy them in more favorable locations. The Medic - The Medic is a Teutonic man of medicine. While he may have a tenuous adherence to medical ethics, he is nonetheless the primary healing class of the team. Although the Medic's Syringe Gun and Bonesaw aren't the greatest weapons for direct combat, he can typically still be found near the front lines, healing wounded teammates while trying to stay out of trouble. When the Medic focuses his Medi Gun on a teammate, they will regain health points. Teammates who are already healthy will have their health buffed beyond the normal limit, up to 150%. Teammates who have not taken damage recently will be healed more rapidly, encouraging smart withdrawals when injured. 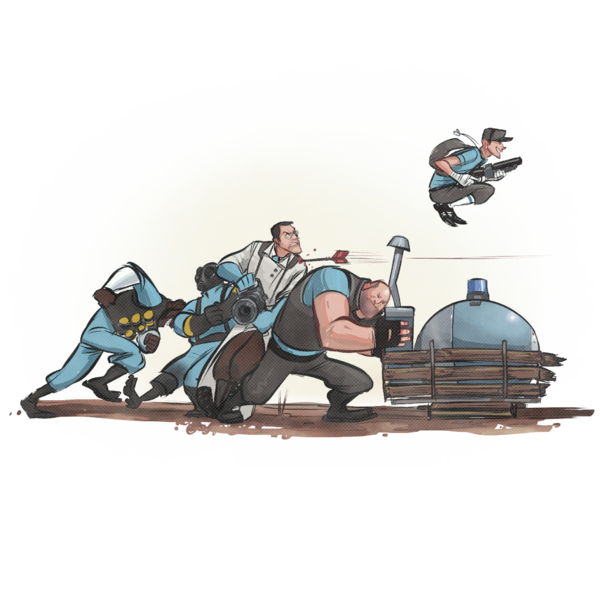 When healing, the Medic's unique ÜberCharge bar will gradually be filled, gaining charge faster if healing injured teammates. When the ÜberCharge bar is fully charged, the Medic's healing gun will begin to crackle with small jolts of electricity, indicating that he can now deploy a unique charge to benefit his patient and himself for eight seconds. A charge from the Medi Gun offers temporary invulnerability. The Sniper - Hailing from the Australian Outback, the Sniper is a tough and ready crack shot. The Sniper's main role on the battlefield is to pick off important enemy targets from afar using his Sniper Rifle and its ability to headshot. He is effective at long range, but weaker at close range, where he is forced to use his Submachine Gun or his Kukri. As a result, the Sniper tends to perch on higher grounds or in hard-to-see places, where he can easily pin down enemies at chokepoints. Although he is typically known for instanteously killing enemies at a distance, the Sniper can use the Huntsman to get closer to the enemy. On the other hand, the Sydney Sleeper, or the mysterious Jarate, allow him to take on a support role by causing enemies to take increased damage. The Spy - The Spy, originating from an indeterminate region of France, is a fan of sharp suits and even sharper knives, and relies on stealth and trickery to aid his team. Using a unique array of cloaking watches, he can render himself invisible or can even fake his own death, leaving unaware opponents off-guard. 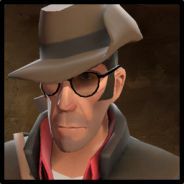 His Disguise Kit lets him take on the form of any class on either team, allowing him to blend in while behind enemy lines before stabbing his unsuspecting "teammates" in the back. 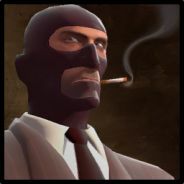 In fact, a swift backstab with any of the Spy's knives will kill any foe in a single hit - provided they aren't under the effects of any type of invulnerability or immense damage reduction. 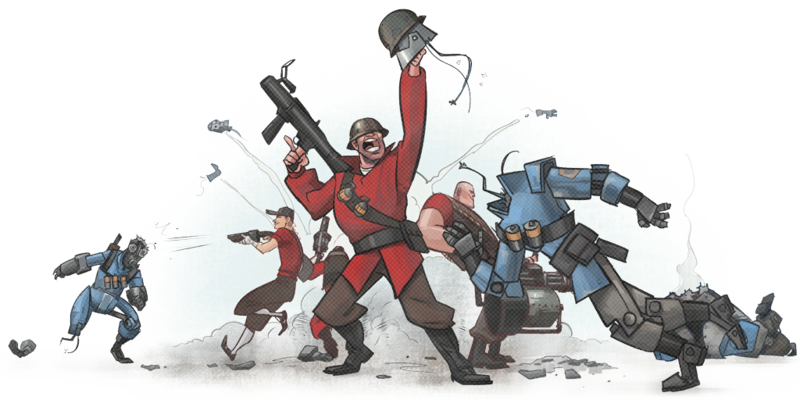 In addition to being able to swiftly assassinate key enemies, the Spy possess the ability to disable and destroy Engineer-constructed buildings with his Sapper. Once attached to an enemy building, the Sapper disables and slowly drains health from the building. However, a Sapper can be removed by an Engineer, or Pyro wielding the Homewrecker or Neon Annihilator. 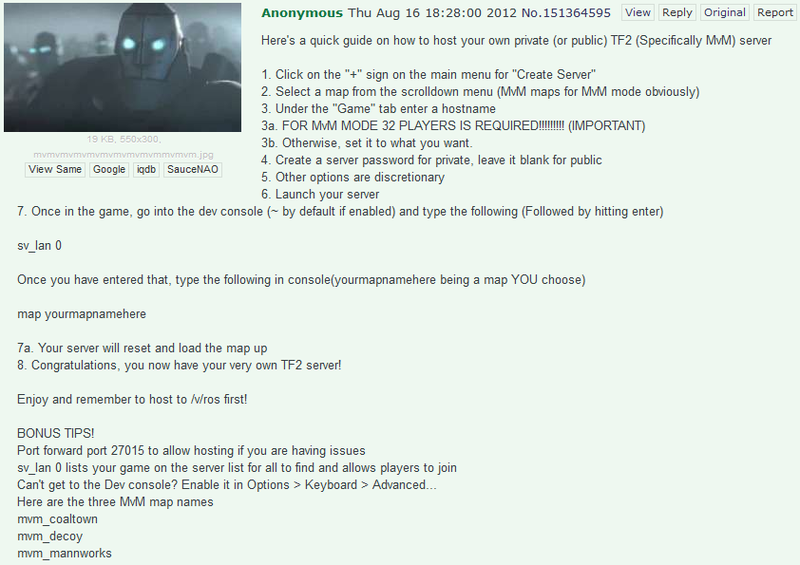 Click the pictures for more information on these major game modes! Is Deceius banned permanently? If not, this topic shouldn't really exist and you're kinda just doing it to feel good. We're going to play a game. Over the next few weeks, I'm going to use a number of new or possible old keys for new accounts. I won't tell you how many, I won't tell you who I am. Each will be different in almost every aspect. Games begin monday. from his sig, lol how edgy and evil. Go ahead and remove the wrapping quotes around it, it looks ugly. 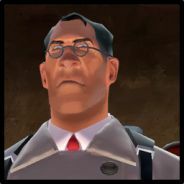 Guys I need a Crocodile Smile to finish my Sniper loadout.